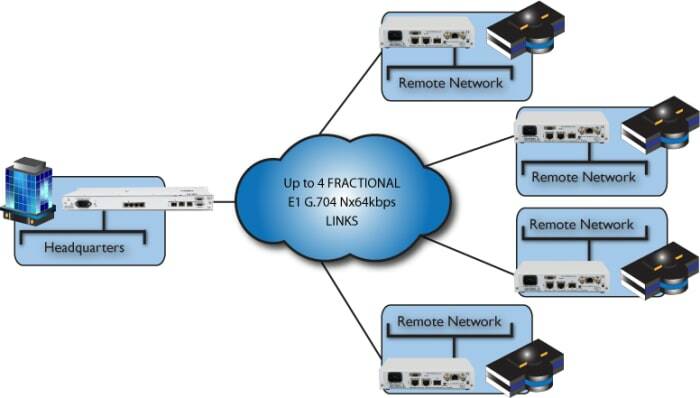 Metrodata offers a comprehensive range of solutions for Managed Ethernet Network Access and LAN Extension. Connecting Ethernet over long distances normally requires Routers which require complex configuration. However, Metrodata's Ethernet Extension products extend the functionality of Ethernet switches to join Ethernet LANs together, which means less equipment, fewer configurations and lower maintenance costs. These Ethernet extension products enable you to interconnect your local area network (LAN)/ Ethernet over a wide area network (WAN) without the need for expensive and complex routers. Ethernet over PDH (Plesiochronous Digital Hierarchy) is a way for transporting Ethernet traffic over PDH network links such as E1/T1 or E3/DS-3. It is one method available to Service Providers who are looking to add new Carrier Ethernet services over their existing legacy infrastructure. For example, Ethernet over PDH can be used to leverage a Carrier’s PDH network to meet market demand for lower cost, higher bandwidth capacity, or by connecting leased E1/T1 or E3/DS-3 lines to their own packet switched network (PSN). Metrodata's Ethernet over PDH edge devices support the key industry standards, including Ethernet Operation Administration and Maintenance (OAM) and encapsulation based on Generic Framing Procedure (GFP) to ensure better performance, carrier-class service compatibility and vendor equipment interoperability. In fact multiple leased lines can be bonded together for the delivery of higher speed Ethernet WAN services, using VCAT technology to bond these services together, as well as LCAS for resilience and automated recovery if a leased line fails, or is intermittent. Metrodata's MetroCONNECT family offers Carriers and Service Providers easily implemented, effective solutions for extending Ethernet services over many different infrastructures, including legacy PDH transport networks. In addition to supporting Ethernet bandwidth delivery using GFP, Metrodata’s Ethernet over PDH solutions ensure consistent Quality of Service throughout the network as well as end-to-end performance, by enabling Carrier Ethernet OAM traffic management, thus facilitating a rapid, scalable and economical migration to Carrier Ethernet services. One of the most popular methods of extending LAN services over Wide Area Networks (WAN) is using Ethernet over SDH technology. By using Metrodata's wide range of Ethernet over SDH converters Service Providers can offer cost effective, efficient and reliable delivery of Ethernet services to their customers using their legacy SDH infrastructure. Metrodata's Ethernet over Serial products offer Ethernet LAN extension over a serial media port. The serial media port offers EIA530, RS449, X.21 and V.35 up to 20Mbps, plus asynchronous RS232 at lower rates. WC-Serial: Truly 'Plug and Play' connections, with no additional configuration necessary, flexible serial interface type using 'Cisco-compatible' cables, offering X.21, V.35 or EIA530. Extension of 10/100baseT LAN services. The Metrodata LHM1000 enables the transmission of LAN packets over HSSI services at up to 52Mbps. The LHM1000 has two 10/100/1000baseT LAN interfaces plus a 100/1000baseF SFP port and provides extensive VLAN, QOS and remote management functionality. The LVM2000 LVDS DTE port can operate at asymmetric speeds since it is clocked using the DCE supplied Send & Receive Timing signals. The LVDS port is presented on a 25-way D-type male connector and supports data rates of up to 52Mbps. The LVM2000 also offers Crypto Resync capability when it detects that the de-cryption has lost synchronisation.